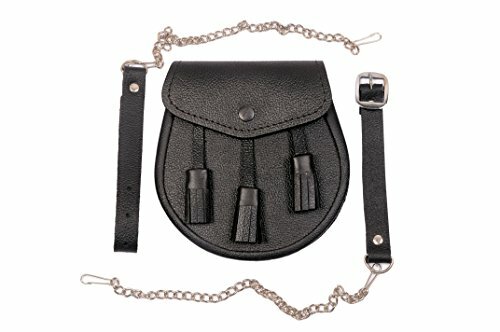 3 tassel Plain Black Sporran made from pure leather. Perfect for day wear and an impressive addition to your outfit/costume. Holds your keys, cell, and wallet still leaving plenty room behind. As part of our commitment to you, all purchases are backed by our 100% satisfaction guarantee. If you are not satisfied with any of the products you have purchased, you may return the item in its original packaging within 14 days of your shipment receipt date. Your satisfaction is our primary goal. 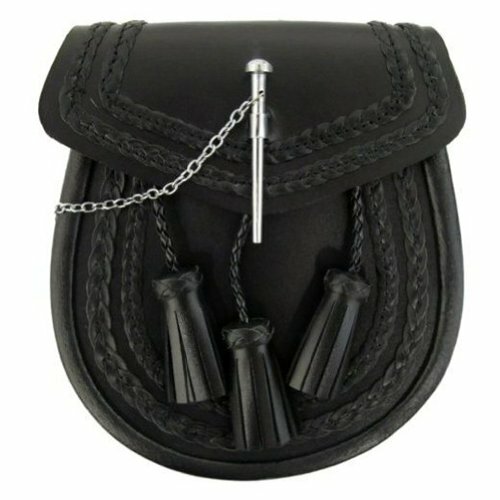 Embossed Sporran made from pure leather with 3 tassels on the front. Perfect for day wear and an impressive addition to your outfit/costume. Holds your keys, cell, and wallet still leaving plenty room behind. As part of our commitment to you, all purchases are backed by our 100% satisfaction guarantee. If you are not satisfied with any of the products you have purchased, you may return the item in its original packaging. Your satisfaction is our primary goal. 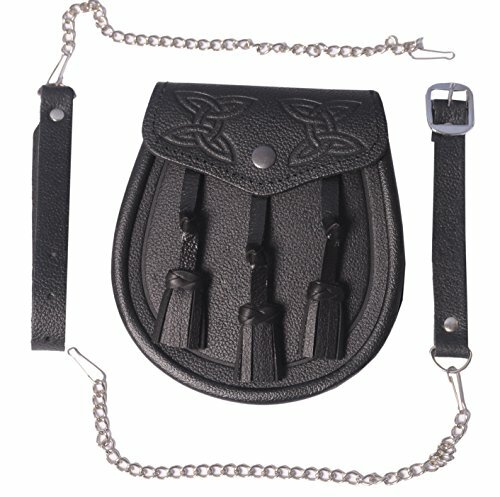 Sporran made of genuine Black Leather with three tassels on the front and pin lock. Perfect for day wear and an impressive addition to your outfit/costume. Holds your keys, cell, and wallet still leaving plenty room behind. As part of our commitment to you, all purchases are backed by our 100% satisfaction guarantee. If you are not satisfied with any of the products you have purchased, you may return the item in its original packaging. Your satisfaction is our primary goal. 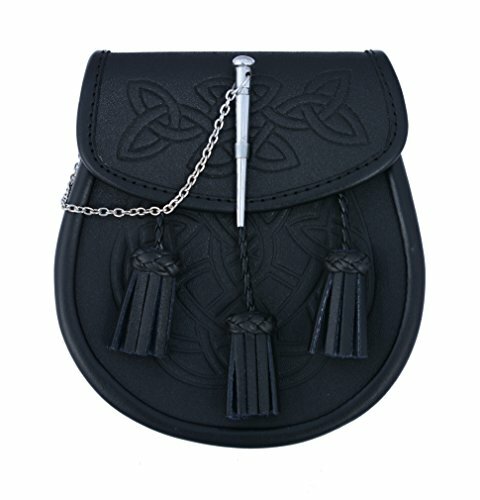 Embossed Celtic Scottish Kilt Sporran made from pure leather with 3 tassels on the front. Perfect for day wear and an impressive addition to your outfit/costume. 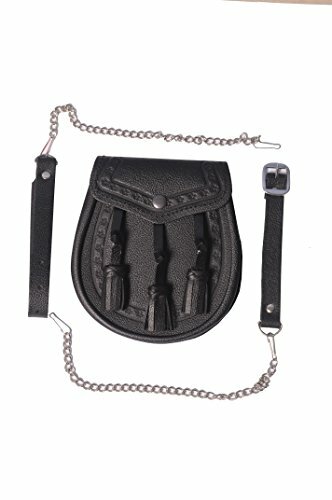 Holds your keys, cell, and wallet still leaving plenty room behind. As part of our commitment to you, all purchases are backed by our 100% satisfaction guarantee. If you are not satisfied with any of the products you have purchased, you may return the item in its original packaging. Your satisfaction is our primary goal. 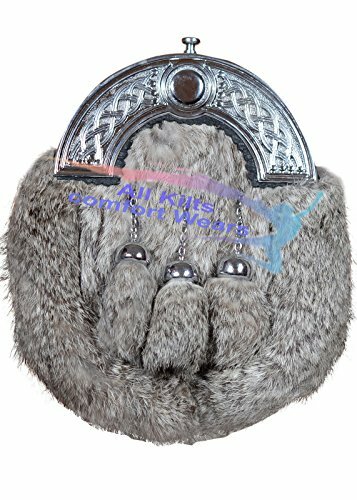 Sporran made of genuine Seal Skin and Black Leather with three tassels and chrome thistle cantle. Perfect for day wear and an impressive addition to your outfit/costume. Holds your keys, cell, and wallet still leaving plenty room behind. As part of our commitment to you, all purchases are backed by our 100% satisfaction guarantee. If you are not satisfied with any of the products you have purchased, you may return the item in its original packaging. Your satisfaction is our primary goal. Embossed leather sporran made from pure leather. Perfect for day wear and an impressive addition to your outfit/costume. Holds your keys, cell, and wallet still leaving plenty room behind. As part of our commitment to you, all purchases are backed by our 100% satisfaction guarantee. If you are not satisfied with any of the products you have purchased, you may return the item in its original packaging. Your satisfaction is our primary goal. 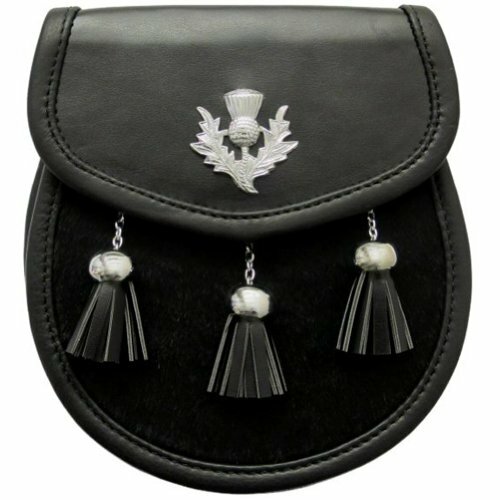 Looking for more Kilt Tassel similar ideas? Try to explore these searches: 36 Inch Box Fan, Alpha Track Lighting Kit, and Padded Storage Bag. 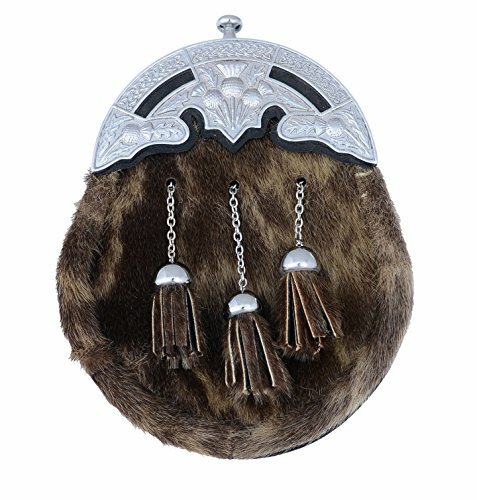 Shopwion.com is the smartest way for comparison shopping: compare prices from most trusted leading online stores for best Kilt Tassel, 60 Bamboo Square, Dial Foam Soap, Tassel Kilt . 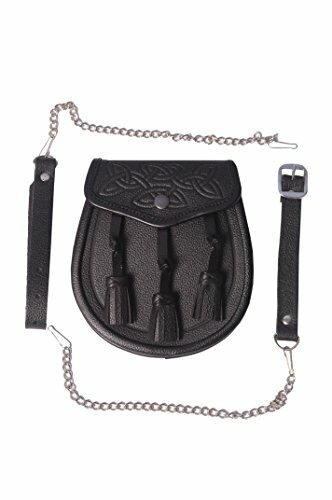 Don't miss this Kilt Tassel today, April 20, 2019 deals, updated daily.